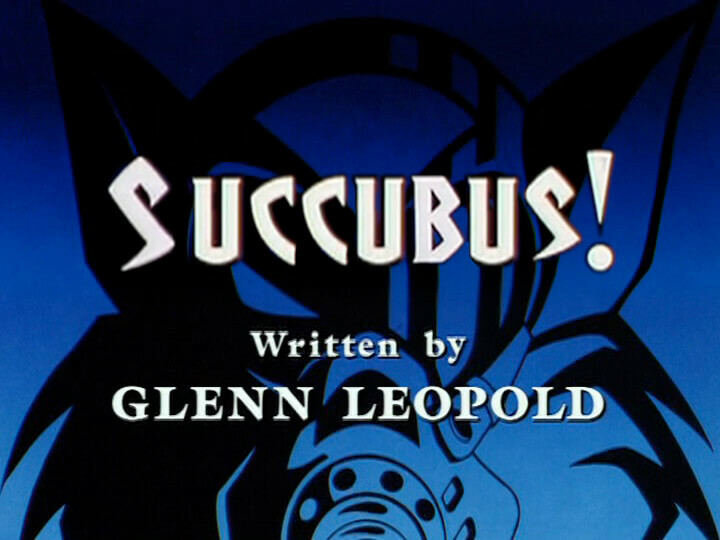 Mark Lungo was kind enough to send me a copy of Glenn Leopold's script for Succubus!, a.k.a. "The Curse of Kataluna" (a name never mentioned once in the story). From what Mark tells me, the title was deemed too sexually suggestive, and by the time Hanna-Barbera had actually moved on to production of the episode, shortly before the series' cancellation, one assumes, the title would've been changed. As well as a lot of the dialogue, since the word succubus is mentioned a lot, and the villain's monster form is even called the Succubus. The story opens at the Megakat Shipyards, where dockworker Geno Furness and his pals are knocking off for the night. Geno turns down his coworkers' offer to go bowling and walks to his car, where he is attacked suddenly by a fierce gargoyle-like monster. Cut to the next morning, where Ann Gora exposits that the missing Geno is the sixth person to disappear in two months. Five other people have gone missing and turned up later on in dead, mummified states. She attempts to interview Commander Feral and Felina but is brushed off. The two drive to Enforcer Headquarters to find Callie Briggs and Mayor Manx waiting for them along with wealthy heiress Katrina Moorkroft. We learn through dialogue between Callie and Felina that Katrina Moorkroft is a wealthy heiress who moved to Megakat City two months ago and donated a huge amount of money to the city. She expressed interest in meeting Commander Feral, and Manx, wanting to keep such a huge contributor happy, is there to play matchmaker. Feral finds himself smitten with Katrina pretty much instantly. She's an elegant, slightly older but still very beautiful woman (all females are called women by Glenn Leopold, incidentally; the word "she-kat" never comes up, although the word "tomkat" does) who wears a live ferret as a scarf. Feral gives her a tour of Enforcer Headquarters. Manx follows them everywhere, insisting on accompanying them to ensure everything goes smoothly and that Katrina is kept happy. Felina hates Katrina on sight, while Callie is suspicious of her. Both women keep their comments to themselves. The feeling is mutual. Katrina is aloof and snobby towards Feral's niece but he doesn't seem to notice. He and Katrina decide to go on a date to the inaugural performance of the orchestra at the newly-opened Moorkroft Philharmonic, which Katrina owns. Callie decides to attend as well, so she can keep an eye on Katrina. At the garage, Chance and Jake are working on Callie's car. We get another reason why Chance should never be allowed to tune up people's cars as he has insisted on installing "turbo accelerators" which cause the exhaust pipes to explode and detach, flying across the room, nearly hitting poor Jake. Callie arrives to pick the car up, and while they repair and reattach the exhaust pipes, she casually asks Chance if he knows about the philharmonic orchestra. He dismisses it as boring, so she asks Jake, and he likes classical music. She asks him to come with her to the performance, more so she can appear nonchalant (it'd look odd if she showed up alone). He agrees, and after they finish reattaching the exhaust pipes (making sure to anchor them more securely this time), she drives off. Chance angrily demands to know what he's supposed to do all by himself at the salvage yard, and Jake tells him he can fix the Turbokat engines, which have something wrong with them. This is apparently out of revenge for the exploded exhaust pipes almost hitting him earlier. Elsewhere, Felina and the Enforcer Sergeant find the body of Geno Furness in the river. He's dessicated and mummified like the other five victims. Felina wonders when the gruesome nightmare will end. At the Moorkroft Philharmonic later that night, Feral and Katrina sit in a private box. Mayor Manx is with them, having insisted on forcing himself along, but the two ignore him and schmooze over one another. In the audience below, Callie is with Jake, who is wearing a business suit. She keeps a close eye on Katrina, while Jake, oblivious, just enjoys the orchestra's performance. The music is being broadcast on the radio, and T-Bone is listening to it back in the hangar as he works on the jet. Angry over Jake getting to go on a date with Callie, and hating the music, he tunes (somehow) into an Enforcer band, considering listening to the Enforcers yack at each other more entertaining. Meanwhile, at Skycor Towers, an apartment building that's under construction, a foreman gets attacked by the gargoyle creature that attacked Geno at the beginning. He runs and is attacked by a second creature. Felina shows up in a helicopter. The gargoyles attack her, shooting laser beams from their eyes. She calls for backup on the radio. In the hangar, T-Bone, because he tuned into the Enforcer band, hears her. Since the Turbokat's engines are still under repair, he takes the Thunder Truck. Back at Skycor, Felina battles the gargoyles in her chopper, allowing the foreman to get into a Jeep and drive away. However, Felina crashes into the partially finished Skycor building, and has to leap out of her chopper. The gargoyles zap the girder she's hanging off of, causing her to fall. T-Bone arrives and rescues her and she takes up a gunner's position in the back of the Thunder Truck. The two pursue the gargoyles through the foggy night. 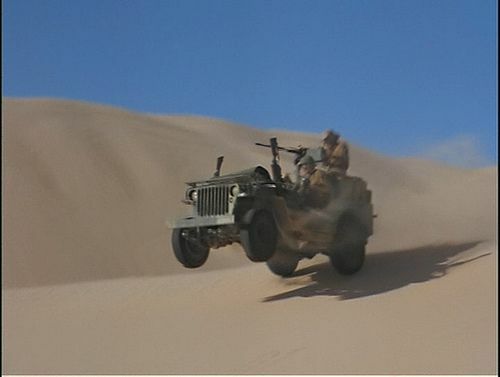 The gargoyles chase after the foreman's Jeep and lift it into the air. One of them rips open the roof and yanks him out, and then they drop the empty Jeep down towards the Thunder-Truck, with T-Bone having to crash through a wall to avoid it. He and Felina recover and continue pursuing the gargoyles and their prisoner. The chase leads towards what T-Bone describes as the "high-rent" section of Megakat City, which is filled with mansions. Eventually, though, they lose the creatures and all they find of the poor foreman is his dropped hardhat in the bushes near one mansion in particular - Moorkroft Manor. Deciding this is too much of a coincidence, Felina goes and knocks on the door, and speaks with butler Laszlo, who claims he hasn't heard anything unusual. Annoyed, Felina asks T-Bone to drive her back to Enforcer Headquarters. The two banter about what a great date they had, jokingly, and when he drops her off, T-Bone gives Felina what is described as a "SWAT Kat beeper," which seems similar in function to Callie's communicator (except with a blue button instead of a red one). Back at the Moorkroft Philharmonic, the orchestral performance is over and everyone is heading home. Callie who I guess seems satisfied enough that not too much is untoward about Katrina, drives Jake home. Jake describes the performance by the orchestra as "radical," having really enjoyed it. As the car burns rubber, with flames coming from the amped-up exhaust pipes, Callie describes the tuneup job as "radical" in response. Nearby, Feral bids Katrina goodnight and she gets into her Rolls-Royce-like limo which is chauffeured by the stuffy Otto (described as resembling actor Erich von Stroheim). As they drive back towards Moorkroft Manor, Katrina begins to suddenly age at a rapid rate, pleading with Otto to drive faster and faster as she continues transforming. By the time they get to the house, Katrina has completely turned into a withered old hag. She asks Laszlo if everything is ready and he tells her yes it is, so she goes upstairs. In a large observatory, the captured Skycor Towers foreman is shackled to a pillar. Katrina complains that the temporary rejuvenations aren't helping anymore, but she isn't worried, since by the time an upcoming eclipse happens, she'll be imbued with the lifeforce of the one who loves her and be beautiful again for another century. She approaches the foreman, and we cut to the outside of the mansion as bright light shines out through the windows. The foreman screams. And I think this is a good place to stop. Last edited by Kooshmeister on Tue Nov 27, 2018 1:25 pm, edited 1 time in total. Thanks a bunch for this Koosh! I really like Felina's reaction to Katrina. Shows the familial bond between her and Feral had and it should have shown up more in the series. Does Katrina immediately put all she-kats on their guard when she shows up? I can get Felina not liking her but Callie? I wonder if Feral would have been in dress uniform for the Harmonic? Shows the potential ship potentially being setup her too. Not that I'm against it but Callie was too much of a hot button IMO. And I wouldn't want Felina and T-Bone getting together just because Jake and Callie got together. Need a connection...or a whatever a cartoon would allow. Like Felina just going off an investigating especially with her uncle at stake here. Funny how this synopsis come up when I'm making Feral immune to this sort of thing in a story I'm writing *Jams fingers in ears* This isn't canon...This isn't canon. AkaneKitty wrote: Does Katrina immediately put all she-kats on their guard when she shows up? I can get Felina not liking her but Callie? Not really. I think the idea is she just sort of showed up with a ton of money only a few months ago and started throwing her weight around, which makes Callie suspicious, I guess. AkaneKitty wrote: I wonder if Feral would have been in dress uniform for the Harmonic? Other than Katrina being without her pet ferret thing and using opera glasses (those little binoculars on a stick), their outfits aren't described. However, Feral is described as wearing a tux later on. Heh, the best part is it's subtle; Glenn Leopold describes Manx following them everywhere grinning like a fool, literally everything but dollar signs in his eyes the happier Katrina becomes with Feral, while the both of them simply ignore him. AkaneKitty wrote: Shows the potential ship potentially being setup her too. And not just Callie/Jake, but there's a lot of dialogue likening T-Bone and Felina's doomed attempt to save the Skycor Towers foreman as being basically their idea of a date vs. Callie and Jake's; i.e., that Callie and Jake date by attending an orchestra while Felina and T-Bone go fight some monsters. A date? What am I supposed to do? T-Bone throws off the helmet and tosses the torch. Can't you keep this thing steady! Cripes! She's been in the truck two seconds and she's already tellin' me how to drive! Some date! Now she's givin' me orders! It's obvious who wears the pants. I also love how, during the chase with the gargoyles, Leopold describes how the Thunder Truck leaps over a fence "a la Rat Patrol." Last edited by Kooshmeister on Mon Dec 04, 2017 11:58 am, edited 2 times in total. Wow, this is some unexpected disclosure. I was rather expecting that this might show up in some modified form in SK Revolution someday, if ever. I hope I'm not too curious, but how comes that Mark decided to share this with you? This script is probably kind of a treasure for every SK fan. This would have been the first episode of the second season where Chance and Jake are doing their daily job. It gives another glimpse into their personality / personal life (Chance rejects classical music as being boring, while Jake actually likes it. It reminds me a bit of the "Some people have higher standards of humor"-dialog between the two in Enter the Madkat). The episode shows a lot of pairings (Is that the right word for it? ): Feral/Katrina, Jake/Callie, T-Bone/Felina. I wonder if the latter two pairings would have had an influence on later episodes. It probably would have been one of the cruelest display of bodies in the show (I know in SK a lot of kats died, but their bodies were never been shown like that, IIRC). It seems like it would have topped the creepiness / mature depiction of The Deadly Pyramid. One thing I was actually wondering: How did Katrina know that Feral would fall in love with her? If I got this right, meeting Feral was actually her motivation to donate quite a lot of money to the city such that Manx would introduce her to him... <Sigh> I'm starting to analyze this way too seriously. So I better stop right now. Thanks for posting this, Koosh. I'm curious how it's gonna continue. Mr. Goodkat wrote: I hope I'm not too curious, but how comes that Mark decided to share this with you? He and I have become friends and spoken by phone quite a lot. Him possessing a copy of the script came up, and he asked me if I wanted one, too. Pretty much as simple as that. Mr. Goodkat wrote: It probably would have been one of the cruelest display of bodies in the show (I know in SK a lot of kats died, but their bodies were never been shown like that, IIRC). This is one of the first things which struck me. The Kat's Eye News report at the beginning has some scenes where the bodies of a few past victims, a power company workman and a truck driver, are shown and described in rather gruesome detail. However, when Geno's body is found in the river, the shot explicitly calls for nothing to be seen except his hand. Weird. And as we'll soon see, the episode gets slightly more daring in the "dead bodies" department a little later on with a scene I swear I never thought I'd see in anything SWAT Kats-related! Not as icky as actually seeing mummified corpses, but still a bit daring for a kids' show. Mr. Goodkat wrote: It seems like it would have topped the creepiness / mature depiction of The Deadly Pyramid. Oh, yes, particularly near the end! Mr. Goodkat wrote: One thing I was actually wondering: How did Katrina know that Feral would fall in love with her? I'm unsure. But considering how instantaneously smitten he is with her, it's possible there's some magical she-devil hoo-doo at work. Mr. Goodkat wrote: Thanks for posting this, Koosh. I'm curious how it's gonna continue. You're welcome. I'll try and post more soon. Kooshmeister wrote: Not really. I think the idea is she just sort of showed up with a ton of money only a few months ago and started throwing her weight around, which makes Callie suspicious, I guess. It'd be interesting if it was a tactic of hers: Put the she-kats on their guard and make them look jealous/spiteful while making herself look like a victim to the kats. Kooshmeister wrote: Other than Katrina being without her pet ferret thing and using opera glasses (those little binoculars on a stick), their outfits aren't described. However, Feral is described as wearing a tux later on. Kooshmeister wrote: Heh, the best part is it's subtle; Glenn Leopold describes Manx following them everywhere grinning like a fool, literally everything but dollar signs in his eyes the happier Katrina becomes with Feral, while the both of them simply ignore him. Kooshmeister wrote: And not just Callie/Jake, but there's a lot of dialogue likening T-Bone and Felina's doomed attempt to save the Skycor Towers foreman as being basically their idea of a date vs. Callie and Jake's; i.e., that Callie and Jake date by attending an orchestra while Felina and T-Bone go fight some monsters. Interesting. Though wherever they go with any pairings I hope it's fair and equal. Nothing can break a base more when it comes to pairings and any perceived favoritism. I was a part of the Mass Effect fandom. Still mad about certain things that happened years ago and I can't trust the company (Bioware/EA) like l did in the past anymore. I wonder if Feral will start to realize what happening to him but when he does it's too late. I would think he would start having some suspicions but Katrina manages to override them. 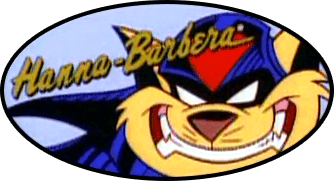 Also, when it's all over, I could do without any jabs to Feral from the SWAT Kats. I get the assumption we should like that supposedly but still. Feral was doing things on his own here, and it seems like the SKs are not even in his thoughts at first. It goes badly of course but he wasn't actively seeking out the SKs here (I would think) to make a jab back towards him warranted. ETA: Let Feral take this lumps in peace. Especially if this episode was going to be a kickoff for other pairings, getting a jab at Feral when that happens while his own relationship gets deep sixed would be a kick in the teeth. Callie drops Jake off back at the garage. He thanks her ("Thanks again! "), and then turns to see Chance in the doorway, looking annoyed with his arms crossed. He mimics Jake like he did in Bride of the Pastmaster, and asks if he had a good time. Jake asks if he's jealous. Chance simply replies he had a "date" of his own, so why should he be? He tells Jake about what happened and Jake is upset. "I can't believe you let Felina Feral ride shotgun in our Thunder-Truck!" he fumes. Chance just grins and soaks in his friend's indignation. Ah, can't you feel the love and friendship between these two? At Enforcer Headquarters, Felina goes to see her uncle. Feral has aged slightly and has a streak of gray in his hair. He's angry when he learns Felina was at Katrina Moorkroft's house, questioning her butler. He refuses to believe that Katrina has anything to do with the abductions and killings, accusing his niece of just being miffed that she (Katrina) is "interested in me." Felina chooses not to dignify this with a reply, and simply points out that Katrina Moorkroft came to Megakat City two months ago, apparently from nowhere, and that the disappearances and murders (referred to as "these crimes") also began two months ago. Feral dismisses it as just a coincidence, and dreamily explains that he thinks Katrina is fascinating and exciting (down boy!) and that he's never met anyone like her, blah, blah, blah. He does everything but have heart-shaped eyes in this scene. So you're not even going to check her out? I certainly am. I'm meeting her for lunch. There you have it, people. Commander Feral is going to "check out" Katrina Moorkroft. Like that. Felina just rolls her eyes and leaves. We then cut to Callie who is on the phone with Dr. Abby Sinian (whose first name is spelled that way, as it was in the Deadly Pyramid plot summary seen in the art book). It seems I misremembered from earlier, but she is still suspicious of Katrina for... some reason, and has called yon expert in all things scary, Abby Sinian, for assistance. That, or it's about the killings, particularly the state of the bodies; we only hear Callie's side of the call for the first bit and are dropped into the scene mid-conversation. Later, Callie and Felina drive down to the museum to speak to her about her theory. She shows them a stone carving of a "hideous demon," and explains it's called a succubus. She explains how the succubus would drain the lifeforce from male victims in her quest for eternal life, leaving behind "only parched, lifeless husks." Oh, and, hilariously, this isn't being discussed in the privacy of Sinian's office. No, she took them to show them the carving of the succubus in the exhibit during business hours, with visitors present. A few elderly women listening in are horrified and promptly head off, miffed, revealing one visitor who isn't surprised in the least by anything he overhears, Katrina's snobby chauffeur, Otto, who is petting the little ferret creature ominously. Nobody notices him (how'd he get a pet through museum security? Claim it's a seeing-eye ferret?). Felina is convinced that this is indeed the creature they've been dealing with. She isn't suspecting Katrina of being the succubus anymore, at first, here, because the carving shows a hideous monster, rather similar to the gargoyle-like beasts. She says a creature as ugly as that shouldn't be hard to find, prompting Dr. Sinian to chide her, explaining that succubi always disguise themselves as beautiful women. That gets Felina's mental gears turning again, and her thoughts once more turn to Katrina Moorkroft as a potential suspect. Sinian further explains that there is a centennial eclipse of the moon coming up, and succubi are supposed to use the eclipse for a ritual to renew their beauty for a hundred years. Remarkably, Callie is the one being slightly skeptical, commenting that it is "a pretty wild story." Suddenly, a "monstrous head" (not really described in any appreciable detail) pokes itself through a nearby doorway. It roars at them. Everyone runs away (Otto has also made himself scarce, apparently). Felina tries shooting it to no effect as suddenly a second head crashes through the wall and tries to eat them. As they flee down a hallway, Felina tries to radio for backup, only for a huge, spiked tail to come smashing in through the wall and knock her down. She drops both her gun and the radio and the apparently two-headed monster promptly destroys them. She, Callie and Dr. Sinian try to escape through the museum's front entrance, but a third hideous head comes bursting in to block their path. The monster, which is yet to be fully revealed, has three heads and is referred to in the script as "the tri-head." Real original, Glenn. Dr. Sinian leads them to a stairwell, explaining they can "get out through the garage." Just like in The Pastmaster Always Rings Twice! And just like in that episode, they'll be forced to go to the roof instead, except here, at least, we get an explanation for why they suddenly change their destination plans; specifically, because they're halfway down the stairs when the tri-head's... um, heads smash through the walls and attack them, forcing them to go up instead of down. Callie finds the communicator in her purse and activates it as she, Felina and Dr. Sinian run out onto the roof. However, this turns out to be a bad idea, because they become trapped up there when the tri-head fully reveals itself. Descriptions are still vague, but as noted it has three heads and a long spiked tail. I imagine the heads are on the ends of long necks, rather like a hydra, for it to be able to attack from multiple directions at the same time from a more or less stationary position. It attacks them. But in comes the (now repaired) Turbokat! Razor fires what's referred to as a Mega-Octopus Missile at the three-headed monster, knocking it off the roof. However, as it falls, it makes a point of using its tail to knock Callie, Felina and Dr. Sinian off of the roof, too (on the opposite side, though), and they fall screaming towards the pavement! Kooshmeister wrote: Callie drops Jake off back at the garage. He thanks her ("Thanks again! "), and then turns to see Chance in the doorway, looking annoyed with his arms crossed. He mimics Jake like he did in Bride of the Pastmaster, and asks if he had a good time. Jake asks if he's jealous. Chance simply replies he had a "date" of his own, so why should he be? He tells Jake about what happened and Jake is upset. "I can't believe you let Felina Feral ride shotgun in our Thunder-Truck!" he fumes. Chance just grins and soaks in his friend's indignation. Ah, can't you feel the love and friendship between these two? Kooshmeister wrote: At Enforcer Headquarters, Felina goes to see her uncle. Feral has aged slightly and has a streak of gray in his hair. Should I ask just what Katrina did to him? No? I'm a writer okay? I need answers! Kooshmeister wrote: He's angry when he learns Felina was at Katrina Moorkroft's house, questioning her butler. Interesting. Angry since he's under Katrina's influence or because Felina struck out on her own without backup? Kooshmeister wrote: Feral dismisses it as just a coincidence, and dreamily explains that he thinks Katrina is fascinating and exciting (down boy!) and that he's never met anyone like her, blah, blah, blah. He does everything but have heart-shaped eyes in this scene. I'm DEAD! So dead! But good they gave him that line though. Kooshmeister wrote: She explains how the succubus would drain the lifeforce from male victims in her quest for eternal life, leaving behind "only parched, lifeless husks." Oh, and, hilariously, this isn't being discussed in the privacy of Sinian's office. No, she took them to show them the carving of the succubus in the exhibit during business hours, with visitors present. A few elderly women listening in are horrified and promptly head off, miffed, revealing one visitor who isn't surprised in the least by anything he overhears, Katrina's snobby chauffeur, Otto, who is petting the little ferret creature ominously. Nobody notices him (how'd he get a pet through museum security? Claim it's a seeing-eye ferret?). No one believes in operation security anymore. Nice seeing Abby's knowledge being put to use. Kooshmeister wrote: Sinian further explains that there is a centennial eclipse of the moon coming up, and succubi are supposed to use the eclipse for a ritual to renew their beauty for a hundred years. So how and why did Katrina latch on to Feral for this? Is he special in some way? Thanks for all this Koosh! I'm loving all the Feral bits. Correct me if I'm wrong, but this episode (in its current state as you describe it) seems to have the least amount of onscreen SWAT Kats presence so far, and a lot of onscreen time for Felina Feral and Callie Briggs. Is that accurate, or is it just the way you've written the summary? If so, it seems like this would be the most bold of the story-lines - there's a lot of controversial plot aspects, and a lot of things that seem like they'd disrupt the show's status quo. I like them. I like them a lot, actually. As it's written, this may have been my favorite episode - I'm imagining all of these scenes done with Mook at Unlikely Alloys level quality - and we're not even done with your summary yet. But, I can see an executive scratching his chin and saying "this is too convoluted, make it more about the SWAT Kats and stop focusing on these other characters. Why can't the succubus just be after T-Bone/Razor instead of Feral?" I'm wondering if my thoughts are why it was slated for one of "last" spots late in the season, as if they were anticipating only two seasons and wanted to end on something really strong (something other shows have done). Or, am I way off base? MoDaD wrote: I like them. I like them a lot, actually. As it's written, this may have been my favorite episode - I'm imagining all of these scenes done with Mook at Unlikely Alloys level quality - and we're not even done with your summary yet. I agree. This would have expanded pretty much every every major character, possibly given them new directions, and shifted the show focus a bit. MoDaD wrote: But, I can see an executive scratching his chin and saying "this is too convoluted, make it more about the SWAT Kats and stop focusing on these other characters. Why can't the succubus just be after T-Bone/Razor instead of Feral?" Sigh. So true. If they had left Cry Turmoil alone we would have had two Feral episodes (though I would have tweaked the story a bit as it relates to Feral's "betrayal"). 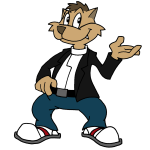 Not everything had to be linked to SWAT Kats. It makes everyone "flat" when other major characters can't get any attention. All the major characters needed to grow or at least change else the show would have gotten boring even with the nice Rouge Gallery.